Parties are fun. We go to parties to relax, unwind, meet new people, and for the great potential they promise. One thing that’s common across all time, all societies and all individuals is the desire to relax and have fun. To meet old friends and new, get silly and enjoy each other’s company. Even when we aren’t having party, we enjoy jokes. They lighten the mood, make tense situations bearable and give us a chuckle to pass the time. Why does humor work? Humor and hypnosis are very similar. The are purposely confusing linguistic structures that make our brains feel funny. When it’s a short burst of carefully constructed silliness, we laugh despite ourselves. But when the linguistic trickery is stretched out, it creates a much different feeling. A much more mesmerizing feeling. Of course, not all hypnosis is created equal. There’s the hypnosis that is out in the open. Where you know you’re using it, and they know you’re using it, and everybody that’s watching knows you’re using it. This is much easier to learn and do at parties that most people realize. There’s a very simple structure, and once you’ve got a willing subject, it’s party time. If you use even some of the simplest inductions in this guide, your popularity will soar. Not a lot of people can trance people out at parties. But because it’s much easier than people realize, you’ll be able to do it in no time. You’ll learn the powerful idea of fractionation, which unfortunately has become a buzzword for top secret seduction techniques. But once you understand what it is, and how to apply it, it will become second nature. These are the best. You’ll learn to give these in a way that will triple your popularity and make getting subjects a million times easier. You’ll learn the secret post hypnotic suggestions everybody wishes you would give them, but are afraid to ask. This will build you a reputation so powerful that everywhere you go, people will be begging to be hypnotized by you. Once people see how well you can trance people out, they’ll be lining up to obey your commands. Without question, no party will be complete without you. If you want a couple of easy to learn tricks to improve your social status, look no further. But that’s just direct hypnosis. Indirect, or covert hypnosis, is much more powerful. Partly because nobody but you will ever know you are using it. Partly because you can combine some of the techniques in wonderful ways. Most people talk about the same stuff, in the same ways, and tell the same stories, about the same things. 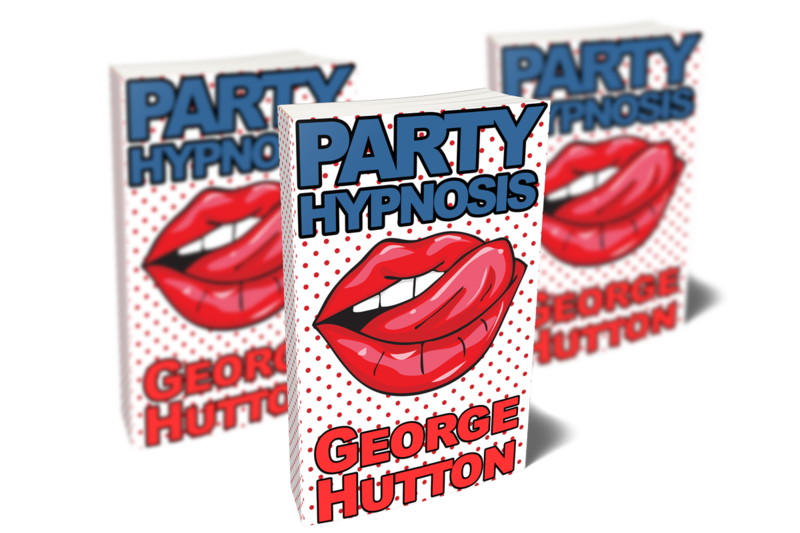 But with covert party hypnosis, you’ll combine covert hypnosis and humor and take even the lamest stories you hear and twist them into mind pretzels of goofiness. People will just start laughing, not know why, and not really remember what just happened. They’ll look at you like you’re some kind of wizard. All you’ll need to do is grin mischievously to re-trigger the same response. Built into the structure of covert hypnosis are some of the most powerful reframes from comedy. These are so effective you’ll find them in every standup’s routine, every comedy on TV and movies. But because you’ll learn their structure, you’ll be able to spit these out in the moment, becoming more entertaining than their favorite comic. You’ll learn a few simple patterns to combine with reframes to turn even the simplest statements into a trip down the rabbit hole. And since you’ll be using them consciously, you can make any negative statement anybody makes and turn it around into a hysterical fantasy. With just the techniques in this guide, and a willingness to practice, you can turn your entire career on it’s head. You can learn to communicate so powerfully nobody will ever be able to turn you down. If you ever wanted to shock your friends at your local open-mic night, this guide will show you exactly how. With the techniques you’ll learn in this guide, you can put the best routine from the best comedian whoever lived to shame. If you were going to use these for sales or therapy, you’d need to practice a lot. You’d need to talk to people, have an intention, and be very careful with your rapport. But since you’ll be using these to make people laugh out loud, it’s much, much easier. Since you’ll be using these brain-bending patterns to cheer people up, it will be insanely easy. Sure, you might not want to drop these in a meeting a work, (but then again, you never know!) but when you are in desperate need to make everybody smile and laugh and have you to thank, these can be your secret weapon. Nobody likes to hang around sad sacks who do nothing but complain. Everybody loves the guy or gal who can cheer people up no matter how crummy life is. Once you learn the skills in this guide, nothing on TV will ever compare to how good you make people feel. Plenty of people love the idea of being hypnotized. Once they realize you’ll help them feel better, dream better, become more creative, and get a better idea of what’s inside their brain, they’ll eager close their eyes and do exactly as you want them to. People that are known as hypnotists, even as hobbyists, have a certain personal magnetism that few others have. They are seen as having the secrets of the mind, of human nature, of human communication. You’ll learn some basic and easy-to-use inductions that will get them from awake and alert to being happily slumped over in a chair, their mind and body ready and willing to obey your commands. Handshake interrupts, instant sleep patterns and other shock inductions designed to smack ’em the all the way down into a happy sleep state where your words and commands become their thoughts and ideas. You’ll even learn a very simple strategy to quickly build up an online reputation which demonstrates the power of your hypnotic abilities. After you learn this, the world will become your playground. If you just want to brighten people up and make everybody love it when you are around, these techniques will do the trick. But if you want to dramatically change everything about your life, your work, your relationships, this will do it. You’ll learn the connection between thought and language, and how understanding the structure of one improves and enhances the other. How consciously and slowly altering your language will alter your thoughts. Use these patterns for fun, or to change the very structure of your world. You don’t need a party to use these skills. Whenever you drop a few brain bombs the party will be wherever you are. 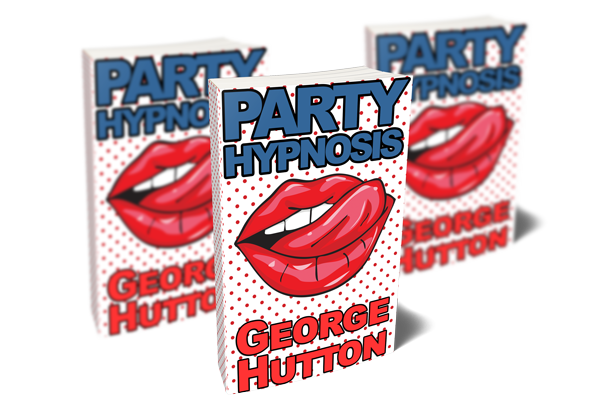 Get this guide now and learn these powerful hypnotic party skills to make the world your playground. Learn these techniques and turn even the shortest conversations into enjoyable memories of happiness. Make people smile, cheer people up, become a party people magnet. Get this guide now and never look back. Once you learn the secret of communication enhancement, you’ll never look back. Become more persuasive, more magnetic and more charismatic. Take any random statement and turn into the seed of a fantastic experience for you and everybody within earshot. Get this guide now and change your life forever.